At Phoenix Kickboxing, we offer an extensive grading system. Thanks to our specially designed syllabus, we accommodate gradings from white belt all the way to 1st Dan Black Belt and beyond. Our gradings are completed via invite only, meaning you will only be put in for your grade if you have consistently trained and are 100% ready. This system allows each participant to be confident in their ability and enjoy the experience. Gradings take place every three months until you get to your purple belt, at which point the time in between is increased to six months. Between Black and White Belt and 1st Dan Black Belt, the time is one year. 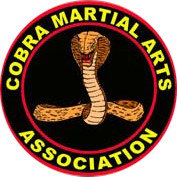 These time periods are designed to allow for plenty of training and ensure that each martial artist earns their belt. Listed below is an example of our belt colour system. Contact us now, in Nottingham, Nottinghamshire, to sign up for our kickboxing classes and start making your way through the grades.